Major League Baseball fans understand that their team will play 162 games during the regular season but very few could tell you why. Here is the story. 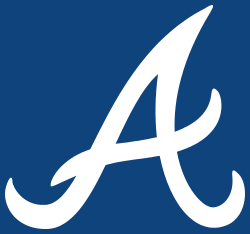 From 1904 until the early 1960s, both the American League and the National League played 154-game regular seasons. Both leagues contained eight teams and each team played the other seven opponents 22 times (11 games at home and 11 on the road). The baseball leaders somehow decided that 22 games against the other opponents was the correct number to determine the league champion. In those days, the two regular-season league champions met in the World Series. In 1961 the American League expanded to 10 teams and the National League followed suit the next year. At this time, the baseball decision makers declared that each team would play their nine opponents 18 games during the season (nine at home and nine on the road). The two regular-season league champions continued to meet in the World Series. Today, the 15 American League teams and the 15 National League teams continue to play 162-game regular seasons. The leagues are divided into three five-team divisions. These schedules consist of 19 games against divisional opponents, home and home series against teams from the other divisions within the league, and a slate of interleague games. Five teams from each league make the playoffs—the three divisional winners and the two teams with the next best records, the Wild Cards. These two Wild Card teams from each league play a winner-take-all game, then the remaining four teams in each league square off in two best-of-five game series, followed by the winners meeting in a best-of-seven game series. The two league champions then meet in the World Series, a best-of-seven game format. So theoretically, a team could play 182 games in one baseball season. That is a lot of baseball. The season now starts at the end of March or early April and finishes near the end of October or first of November. It may be time for baseball leadership to consider reducing the number of regular season games. For the time being, baseball fans will continue to have at least 162 chances to watch their favorite teams. Frankly, that’s okay with most of us! Segregation and Jim Crow laws were all too familiar to the people of Atlanta, both black and white, in 1949. Racial equality would not become a reality in the city for decades to come. Yet for three days in April 1949, Atlantans put the racial tenor of the time aside for a few hours each day in old Ponce de Leon Park to watch Jackie Robinson, Roy Campanella, and the rest of the Brooklyn Dodgers play three exhibition games against the Atlanta Crackers. However, these games almost did not take place. All three games were standing room only and played without incident. The stands at Ponce de Leon Park were segregated into “White” and “Colored” sections for seating; attendance at the games was split almost evenly between blacks and whites. While Robinson encountered some boos, the overwhelming sound during the games was cheers for the star—every Robinson hit led to a standing ovation. The fact that the Dodgers won two of the three contests was overshadowed by the demonstration of racial unity during the three games. These games marked the first time in Atlanta history that blacks and whites competed against each other in a professional sporting event and gave hope that one day men and women of both races could live peacefully together as equals.